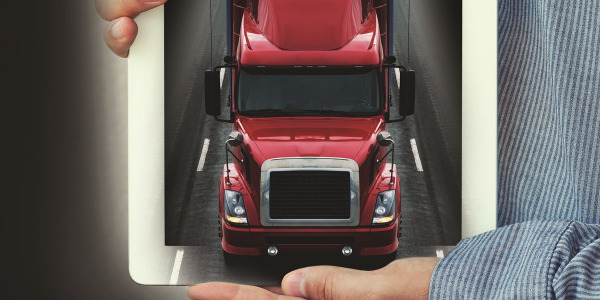 Meet some of trucking’s best and brightest leaders. 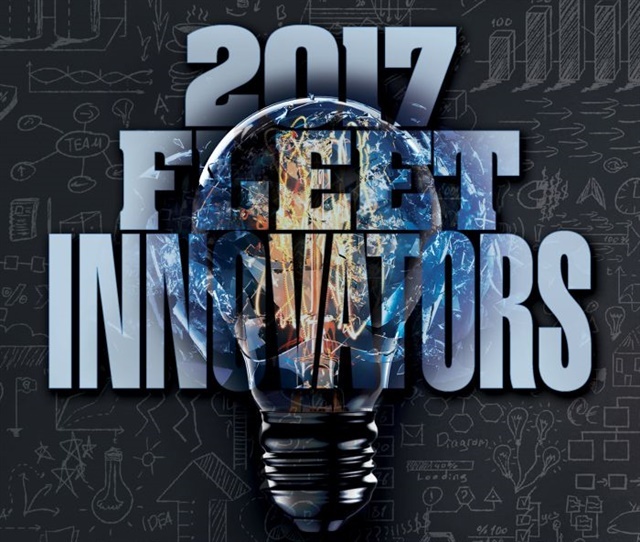 The four 2017 Truck Fleet Innovators will be honored during the inaugural Heavy Duty Trucking Exchange. HDTX, an invitation-only fleet networking event, will be held May 8-10 at the Scottsdale Resort at McCormick Ranch in Scottsdale, Arizona. Following an awards ceremony, this year’s Innovators will participate in a panel discussion to share more about their accomplishments as well as to discuss industry issues. Randy Swart says demographics told A. Duie Pyle that it was time to create its own pipeline of management employees. 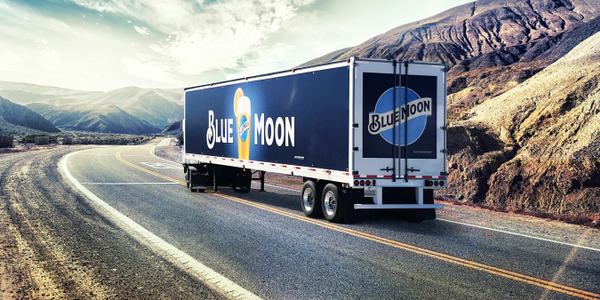 What fleet executive doesn’t stay up at night worrying about how the industry can attract enough truck drivers and technicians for today and tomorrow? But trucking has still another talent pool that warrants stocking — college-educated employees who will become the next generation of managers. 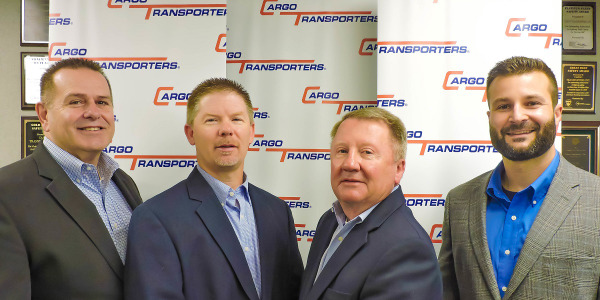 Randy Swart says that’s why regional carrier A. Duie Pyle launched its own Leadership Development Program, which rotates recent college graduates in positions within the company to prepare them for careers in transportation operations. Supported by some 2,700 employees, Pyle operates 22 less-than-truckload and truckload service centers and nine warehouses. It offers a variety of asset and non-asset based services, including dedicated fleet operations, integrated warehousing and distribution services, and specialized truckload services. The fleet consists of 1,100 power units, of which over 90% are Class 8 tractors, and 2,200 trailers. About 97% of the maintenance work is conducted in Pyle’s network of 20 terminal-based shops. 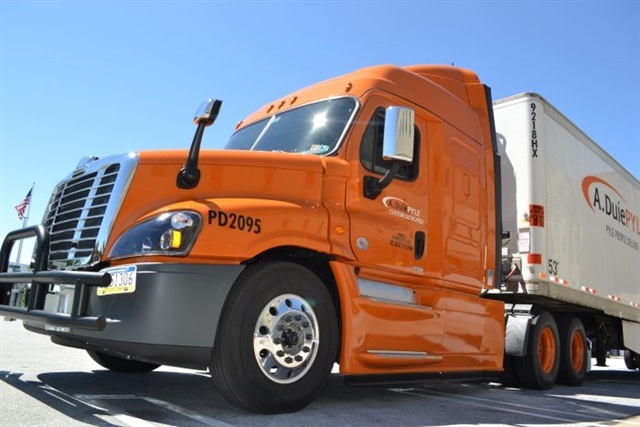 Pyle’s innovative efforts to develop employees also includes a program that helps its own warehouse workers shift gears to become non-CDL truck drivers (including in its new last-mile delivery division, Express Solutions) and eventually earn their CDLs if they want to. 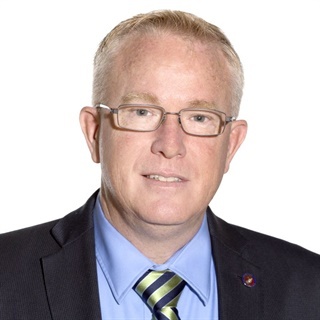 But Swart notes that it’s easy to overlook that the industry will need an entire generation of all sorts of trucking employees, not just drivers. That’s because of the wave of Baby Boomers now beginning to retire and the slow-growing rate of Millennials seeking a career in trucking. Pyle’s Leadership Development Program gives participants the ability to “learn the industry and our operation from the ground up and gain hands-on experience through assignments in various departments and multiple locations,” says Randy Swart. There’s also the issue of talent retention when it comes to younger workers. One study Pyle looked at shows that over 70% of Millennials who are likely to leave a company within two years are dissatisfied with how their leadership skills are being developed. What’s more, 69% of the Millennials studied desire to be leaders within five years, and 60% want training to develop their leadership skills. “About two years ago, we started thinking about how to fill our leadership ranks going forward,” Swart says. 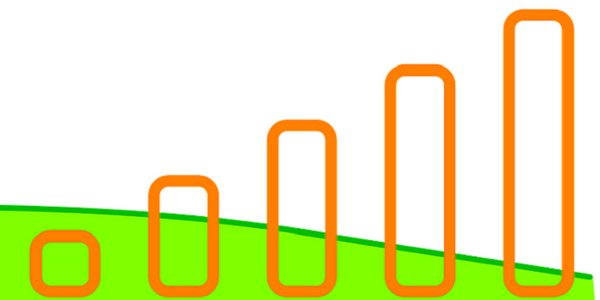 “Our idea was to create our own pipeline of management employees. So, we developed a rotational program designed to prepare recent college graduates and internal candidates for a leadership career in the company.” He notes that Pyle’s fourth-generation family members also participate in the program. The six-month program gives participants the opportunity to “learn the industry and our operation from the ground up and gain hands-on experience through assignments in various departments and multiple locations,” Swart says. Swart says what makes the program really stand out is that employees receive coaching and guidance from experienced leaders and participate in leadership training events. He notes that candidates can begin the leadership program at almost any of Pyle’s service center locations. A third set of recruits has been drawn from college graduates who had been part-time dock workers at Pyle while in school. The fourth group consists of “any other employee here who wants to change their career path,” such as a full-time driver or dockworker. The program is set up so two groups of six go through the rotations in the course of a year. “To date, 28 individuals, including those now in it, have gone through the program and only eight have opted not to complete it.” And that’s OK, he says, as Pyle never expected the program would suit everyone who chose it. Another recent innovation at Pyle was put in place on the docks where management trainees embark on their career development: tracking freight by the pallet or piece, instead of by the load. Pyle’s dock management system, developed in-house, shows every dock, every trailer, and every pallet position within each trailer. Swart says that leads to fewer misplaced shipments and quicker movements across the dock. 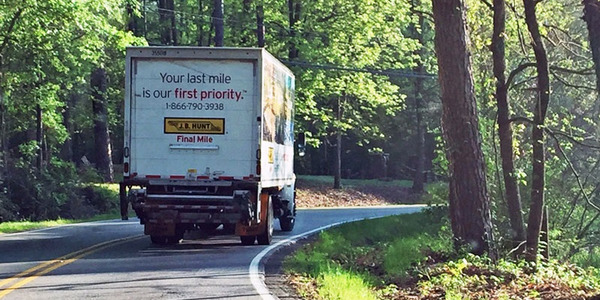 Once a truck departs, mobile tracking technology offers real-time visibility of shipment status. That, combined with new routing software, improves distribution efficiency and reduces planning time, overhead, and wasted mileage. It also generates a vast amount of useful information for the carrier. 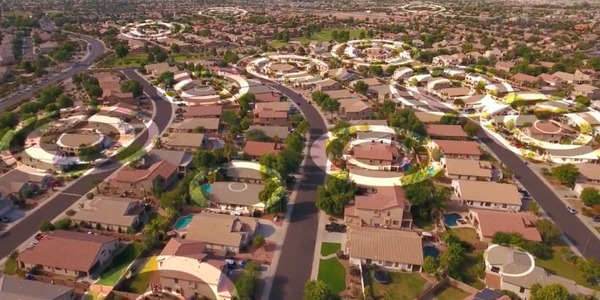 “If you map out all the steps it takes to complete an inspection, then you can work on taking out all the wasted motion and streamline the process to do it faster,” says Randy Obermeyer. 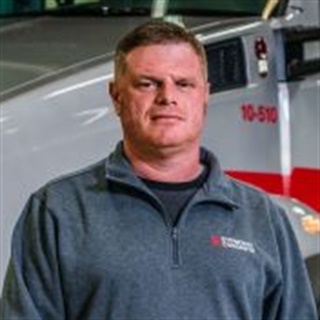 For Randy Obermeyer, applying a leaner approach yields greater maintenance savings and higher technician satisfaction. Who doesn’t want to get lean? But wanting and getting are two different things. Lean, in this case, is a thought process that aims to create more value while expending fewer resources. The concept, which dates back to the 1980s, was inspired by Toyota’s legendary production system. A byproduct of manufacturing, Lean to be sure is not yet widely embraced by trucking. 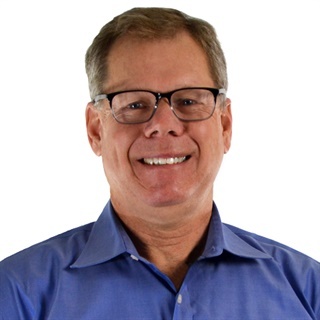 But Randy Obermeyer is leading the way, learning how to apply Lean principles to maximize efficiency in the maintenance shop and sharing what he’s learned with the industry. 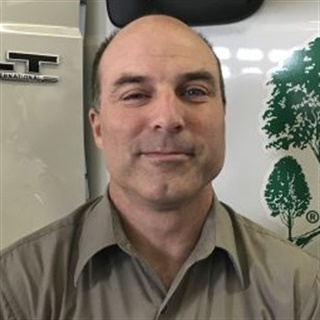 Obermeyer, a National Private Truck Council Certified Transportation Professional and a current board member of the American Trucking Associations’ Technology & Maintenance Council, is responsible for the fleet maintenance and for company drivers operating out of the company’s main location. Batesville Logistics is the private fleet and transportation arm of Batesville, a Hillenbrand Inc. subsidiary, which has been manufacturing caskets and other products for funeral-home operators since 1884. The fleet’s equipment includes everything from over-the-road rigs to local delivery units. There are 125 Class 8 tractors and 400 road trailers that haul to distribution centers. Some 400 straight trucks and vans (Class 7 and down) complete deliveries to funeral homes. Fifteen mechanics stationed at two shops handle all maintenance work except for major overhauls. Still, he says the learning curve can be intense. “You have to be wary of not getting too deep into the weeds, because that won’t help the maintenance guy. You can use Lean to do a whole project that will make just one step of an assembly process faster and better.” Eventually, he grasped that he could apply the same approach to improve one element or another of a preventive maintenance inspection. “It can come down to how long does it take to do something and how long should it take,” says Obermeyer. “If you map out all the steps it takes to complete an inspection, then you can work on taking out all the wasted motion and streamline the process to do it faster. 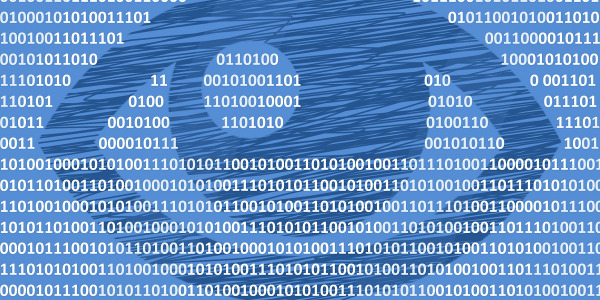 You’re using data to drive waste out of the process,” which is what Lean aims to do. The tools used to put Lean principles to work are of the drawing board variety: They provide ways to chart, graph and map the progress of specific processes. For example, one Lean tool Obermeyer has wielded is the “swim lane chart.” It’s a type of flow chart that groups processes and decisions in parallel “lanes” to show which person, group or sub-process is involved in each step. He says charting the flow of work in this way helps analyze such processes as the steps involved in changing a tire. In this case, Obermeyer explains that studying how long it actually takes to do something can reveal that technicians are wasting a lot of time and motion having to fetch tools or roll tires to a different location. That can lead to changing where tires are changed or moving tools closer to where the tire work is being done. Sometimes that data is not what you expect. A Lean study Batesville conducted to reduce tire failures on the road yielded a surprising result. “We were looking at the impact of both air pressure and casing age as causal factors,” he explains. “But we found neither of those issues was the culprit. After inspecting every casing and conducting failure analysis, we found we were not doing as bad a job with tires as we thought. We found out the failure rate had been driven up by a lot of impacts with road debris. Towards that end, for the past couple of years Obermeyer has been working closely with industry colleagues under the auspices of TMC to make more fleets aware of the benefits of going Lean in the shop. So far, those efforts have yielded a technical session and a Lean workshop at TMC meetings. A Recommended Practice on Lean Principles will be put out for balloting this year by TMC members. Obermeyer says that as some of Batesville’s Lean projects were under way, the metrics involved were posted along with the progress. Then feedback from techs compelled changes to some processes. Kirk Altrichter contends a scattershot approach to managing equipment will backfire, because if everything is seen as important, nothing can be. For Kirk Altrichter, leveraging data is all about gleaning insights from the torrent of information that can flood the brains of fleet managers. To avoid drowning in minutiae or getting hung up on one after another informational sandbar in the rushing stream, Altrichter focuses on which data is most important to his particular operation and which of that is the most actionable. Ohio-based KAG lays claim to being the only independent fuels-delivery carrier with a nationwide network. 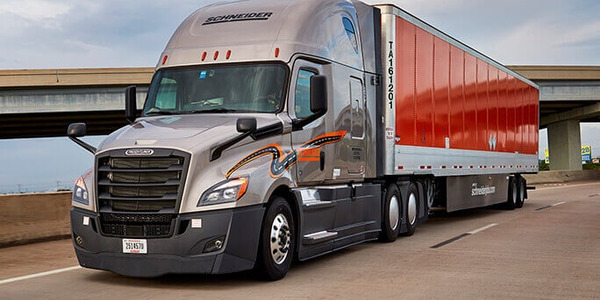 Its fuels business operates in 40 states and has the ability to deliver within the entire Lower 48, as well as in four Canadian provinces and in Mexico. It operates seven fuels-delivery subsidiaries, including namesake operations Kenan Transport and Advantage Tank Lines. While about 70% of KAG’s tank trailers carry fuel, the company also runs fleets of specialized trailers spec’ed to haul everything from cryogenic and industrial gases to chemicals and food-grade products. Those vehicles make the company one of the largest bulk transporters of chemicals and liquid food-grade products in the U.S., and its Merchant Gas Group is billed as the largest independent industrial-gas transporter in the U.S. The company also offers dedicated contract carriage and has a Logistics Group. With more than 20 years in trucking, Altrichter joined KAG last summer after holding senior management roles with highly respected motor carriers such as Gordon Trucking, Schneider, and most recently, Crete Carrier Corp.
To maintain the fleet’s thousands of tractors and trailers, Altrichter manages 140 shops that employ over 400 technicians. “About 65% of our tractor and trailer maintenance work is handled in-house and the rest by outside shops. Where the work is done is determined by the type of repair and where the work needs to be done.” Also key to his job is working with drivers. “I never want to get away from that. 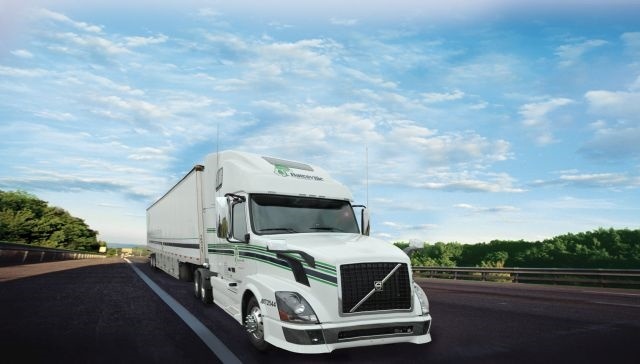 They give you valuable feedback on specs.” KAG’s driving force is 8,000 strong and includes company employees and a complement of owner-operators. “It does get easier as you get larger to put in place a fleet management package to keep track of everything,” he points out. “That helps when, for example, you want to focus on warranty. You don’t want to pursue a claim that the data indicates you have little to no chance of recouping. As for where he gets the rounds to load that rifle, Altrichter says, “I don’t know that it matters where the [fleet] software comes from as long as it fulfills our needs.” His preference would be a program that “we can maintain and adjust with our own IT staff as needed.” Given KAG’s growth pattern, the software would also have to scalable. Ralph LoPriore doesn’t order a truck when he can shape a spec to score a competitive edge in efficiency. It’s easy to spec trucks based on how it’s always been done,” says Ralph LoPriore. “But equipment changes so rapidly now, we can no longer think just in terms of a 10-year lifespan.” The equipment LoPriore manages are the rolling assets of two related operations: Stoneway Concrete and Gary Merlino Construction Co.
Gary Merlino launched his eponymous construction firm in 1961 “with a wheelbarrow, a few hand tools and a commitment to hard work and excellent customer service.” From there, he grew it into a major general contractor that specializes in heavy civic construction in the Puget Sound region. Stoneway’s roots run deeper still – it was founded in 1928. 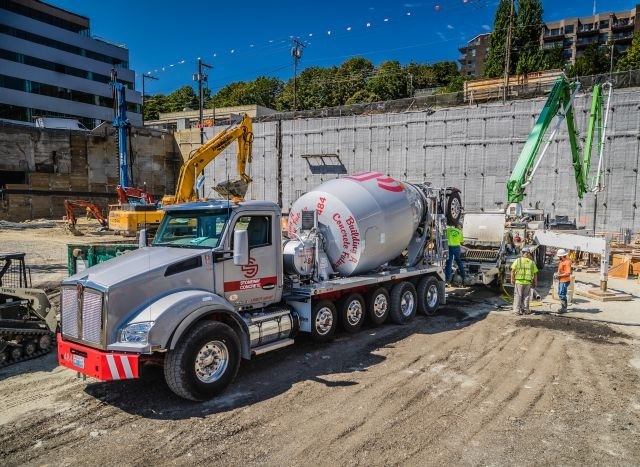 Acquired by Gary Merlino Construction in 1985, Stoneway provides ready mix from several concrete batch plants it operates to job sites in Seattle and surrounding King County. Stoneway and Merlino operate a combined fleet of 150 trucks, including 85 mixer and 60 dump trucks. They run out of three locations – the maintenance shop in Renton, a yard in South Seattle, and a yard in Seattle – and are maintained by a 40-plus member staff, including 30 technicians. Instead of sticking with the same 13L engine and cutting weight elsewhere, LoPriore opted for the 11L engine to get a better horsepower-to-weight ratio and gain payload capacity. “The MX-11 is 400 pounds lighter but gives us the same 430-hp rating as our 13L engine.” He boosted payload further by working Washington State’s bridge formula. The mixer’s seven axles include a set-back front axle and a rear lift “stinger” axle. The setup allows for an 80,000-pound GVW rating. That means the new mixers can carry 4,000 more pounds of payload because weight can be distributed to the stinger when needed. The new mixers can carry up to 12 yards of ready mix vs. the 10.5 to 11 yards held by Stoneway’s older 76,000-pound GVWR mixers with 13L engines. With the new spec, the mixers churn out an average of $315 more in daily revenue. With mixers running six days a week, that adds up to about $98,000 more in revenue every year. Putting together the lighter engine with a set-back front axle and a pusher axle also meant McNeilus could use a wider mixer drum on the T880 chassis. With the axle set back, the drum also sits lower on the frame. LoPriore explains that results in increased stability and the drum bounces less, whether running on or off the road. Other specs also boost efficiency and improve driver comfort, which LoPriore can relate to as he holds a CDL. 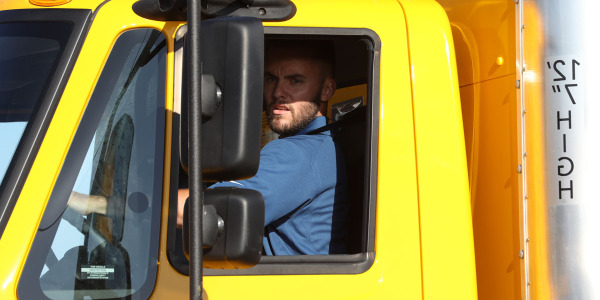 The trucks are all equipped with Allison 7-speed automatic transmissions. He says Allison’s “dynamic shift-sensing” relieves drivers from getting tired and achy from heavy shifting all day in city traffic. He adds that the KW cab provides drivers with unrivaled visibility and that drivers have told him that the MX-11 delivers power and acceleration similar to the mixers with 13L engines. LoPriore says getting a mixer put together with an 11L engine as well as all those axles took some prodding. After reviewing Stoneway maintenance data, “Kenworth was the only OEM willing to try,” he says, crediting dealer Kenworth Northwest and the OEM’s engineers with helping fine-tune the final spec. He cautions, though, that no one can afford to customize trucks without good reason. “On the one hand, when you’re building a truck for eight to 10 years of use, the cost to us for some things will be minuscule over its lifetime. Still, you have to follow the market — can I sell later what I’m designing now?